Ken Wilber is the New Age answer to Richard Dawkins. Both are biologists who want to be philosophers instead of the philosophers. Both are in love with Charles Darwin and his theory of evolution. Both want their own discipline to be the answer to all the riddles of the universe; both therefore ends in two versions of reductionism (Social Darwinism). And, both are in that degree marked by not being competent philosophers. I will begin with an investigation of the nonsense-language of Wilber´s system, and end with a comment on how he is responding to criticism. 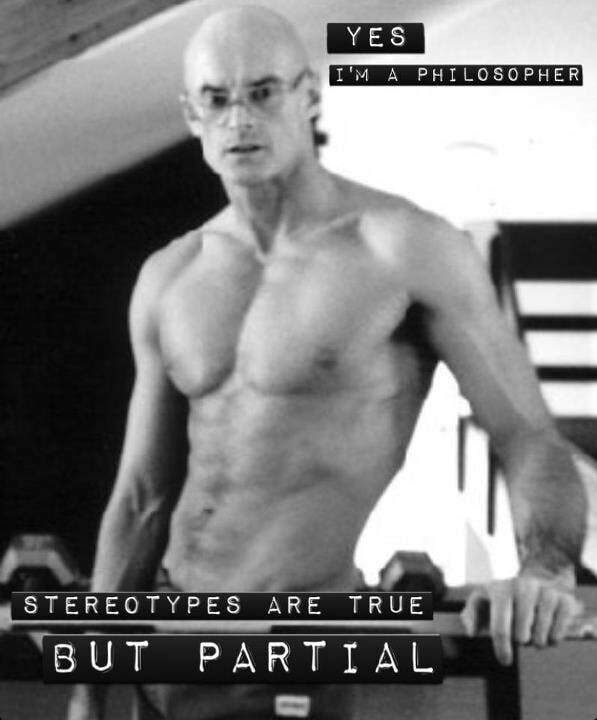 Ken Wilber´s philosophy is an example of disguised nonsense, as it exists in cultish surroundings. What I have noticed in certain critics of Wilber, is that they fall into the trap and are accepting using Wilber´s nonsense language, whereby they unintended are sanctioning it. This won´t happen in my critique. This article asks why, in an age of global crisis, global governance still remains a low priority for the integral community. It posits a civic line of development, suggesting only those possessing a worldcentric level of civic awareness can fully comprehend global problems and the need for binding global governance. I argue that modern (orange altitude), postmodern (green altitude), and even low vision-logic (teal altitude) worldviews still see global problems nationcentrically rather than worldcentrically. I explore this limitation in light of destructive international competition; a key and potentially catastrophic phenomenon that, it is argued, shows why only a worldcentric, late vision-logic (turquoise altitude) civic consciousness can disclose solutions to the global crisis. Ways in which green and teal altitude split off these realities are suggested, providing clues to how turquoise civic consciousness may be accessed and how the integral community may thus play a fuller, more effective role in global transformation. Civics entails the rights and duties of citizenship and the role citizens have in establishing, shaping, and overseeing government at any level (Altinay, 2010). Civics is founded on citizens’ perception that governance is actually necessary; that it is functionally required to solve societal, environmental or economic problems at a particular level, be it local, national, or global. If, for example, a citizen could not perceive national-scale problems, or mistook them as being of a merely local nature, she would see no need for national governance at all. Her civic consciousness would be merely local or ethnocentric. Such a citizen would recognize only their local authority or tribe as functionally required and would likely see any higher levels of government as superfluous, wasteful and suspicious. Those at orange altitude or higher, on the other hand, recognize national government to be required in addition to local governance. Their depth of civic consciousness thus has two levels. Yet, in an age when our problems are increasingly global and threaten our civilized survival, it is notable that very few citizens see any need for a third level, that being global governance. Indeed, for the vast majority of people, including those up to teal altitude, civic consciousness remains, as I will be arguing, at best nationcentric. The emphasis on global civics indicates that global problems must first be perceived as such; a worldcentric perception that indicates that merely technical solutions or national (or local) politics cannot suffice. Instead, a vertical transformation toward a form of binding global governance is necessary. I distinguish the civic from the political line of development in the Lower-Right (LR) quadrant by noting that civics is fundamentally about the perception, by citizens, of a need for governance. Politics, on the other hand, is what happens after governance (or formal government) has been established. Civics, in that sense, is prior to politics. The Civic Holarchy. Like all lines of development, the proposed civic line tetra-evolves and manifests in all four quadrants. Civic holons are most obvious in the LR quadrant, in what I will be referring to as “the civic holarchy.” This is the holarchy of our institutions of governance that has evolved and bonded together human societies from the earliest hunter-gatherer bands, through to Middle-Age city and small-states, and up to present-day institutions of national and global governance (Wilber, 2000; Wright, 2001). It begins good, but just a few lines further it develops into nonsense. You might say that there must have been an explanation of the used terms. No. But then the Wilber devotees must use another language when speaking to outsiders. No. They speak this language to everyone they meet. I talk out of experience here. And if you don´t understand it it´s because you are on a lower level than them. It is as if they are thinking: “Ok, now I will show this philosopher how to think by giving him a full lecture in my Ken Wilber language.” Well, I´m an educated philosopher with competence to evaluate philosophy-students on University level, and if someone came with a paper like this it would have been rejected at once. The book is nonsense but not patent nonsense, it is disguised nonsense. This is because it sounds incredible clever and logical, and it is possible to learn to speak and understand it. But the characteristic Wilber jargon is nonsense. You really didn´t have to write a book filled with so much disguised nonsense in order to say with a few words: only people with a higher spiritual consciousness can lead globally. The problem is that when you mix all this with the Ken Wilber nonsense system, it becomes an ideology with a goal: The Ken Wilber movement (the Global Integral Life Community) wants world governance, and only Ken Wilber supporters have a consciousness so high developed, that it is them that must be the rulers. I have insider knowledge of what I without hesitation will call the Ken Wilber Cult. Besides having had many discussions with Wilber devotees, my cousin is a Ken Wilber fan, though with bad experiences from attending insider meetings. He has told me about those. As the American Clinical Psychologist and Cult researcher Margaret Thaler Singer says, then a typical trait of a cult is that the newcomers have to learn a kind of groupthink and a language, a jargon, and that outsiders are lesser beings. I have never been a member or supporter but, as a paranormal researcher, I have attended meetings. You feel like Alice in Wonderland when she attends The Mad Tea Party. If you are speaking English rather than “expert” jargon, the Wilber supporters respond to you as though you were ignorant or simpleminded. Plain English is, like at The Mad Tea Party, not spoken. As Alice declared: “The Hatter´s remark seemed to have no sort of meaning in it, and yet it was certainly English.” It wasn´t Alice´s fault, and it´s not yours (see my Pop Culture File on Alice in Wonderland). Strategists play what Ludwig Wittgenstein called bewitching language games. The Wilber jargon is not the patent nonsense which Alan Sokal, in his famous Hoax, exposed many postmodernists to be speaking (see my article The Sokal Hoax) – rather it is disguised nonsense. Both the Wingmakers Project and the Human Design System (both, like Ken Wilber, inspired by Theosophy) have in the same way developed their own jargon (see my articles Time Travel and the Fascism of the Wingmakers Project, and A Critique of the Human Design System). Major global and social issues were often only referred to in passing as descriptors for a certain level of consciousness development with the overarching implication being that “they” are not as highly developed as “we” are. We’re “second-tier” thinkers. We’re going to change the world… as soon as we’re done talking about how awesome and “second-tier” we are. So, what about the great enlightened masters, there must certainly be room for them as the coming world leaders. No. This Wilber himself has demonstrated in his view of “lines of development” in relation to the great enlightened master Ramana Maharshi, whom, in Wilber´s eyes, can´t be considered as an “integral” master, because he was a cripple. Wilber directly says, that they don´t want sages, who are crippled, in his system. His reason is, that a future world teacher – that is: an integral master, a master that fits into Wilber´s system – has developed “both the gross body, the subtle body, and the causal body.” Pure fascism from a man who on pictures doesn´t hesitate to promote himself shirt less, so we can see his weight-trained torso. In the same way as the Wingmakers Project and the Human Design System, the most disturbing in the Ken Wilber Movement, is the use of meditation as propaganda tool. When you use meditative exercises in combination with the introduction of an ideology the exercises will work as a kind of hypnosis where the ideology is implanted into the meditator, whose critical faculties now are shut down. Note that it doesn´t matter if they call the meditations they use for Buddhist meditation, Christian, Jewish, or any other cultural meditation tradition. When it is combined with an introduction to a certain ideology, in this case Ken Wilber´s system, it will function as hypnosis. I have explained such ideological persuasion techniques in my articles Hypnosis, hypnotherapy and the Art of Self-deception, and especially in The Devastating New Age Turn within Psychotherapy. “Keep an open mind,” we like to say, “but not so open your brain slides out.” But what happens when you open your mind so fully that you end up temporarily misplacing your entire head? Well that’s enlightenment, baby! [wauw, they know what they are talking about, right] In this short 8-minute pointing-out meditation, Ken [Wilber] offers a brief but profound taste of your already-enlightened nature, revealing an ever-present consciousness that has been with you since the beginning of time. A proof that Ken Wilber is a fake. Keep a long distance from it! You are not presenting a pointing-out exercise in this careless way to anybody (and it is actually making me a bit angry). It´s as simple as that. Dzogchen can only be practiced by students who are very close to enlightenment already, and a Dzogchen master is able to say whether you are ready or not with one look. They simply don´t teach this to anyone. They do it theoretically, yes, but not in practice. A Pointing-Out instruction in practice (a look, a word, a touch on the shoulder or on the head) to someone unprepared could end in psychosis. In the following I have copied and pasted an introduction to a video by Ken Wilber about how to start your integral life. Click here. The main mistake, besides all the other mistakes I have mentioned in my article, is very shortly said that he instructs us in What we shall think in accordance with Wilber´s system, and not how we can think for ourselves. We’ve heard a lot from Ken over the years about the Integral model (quadrants, levels, lines, states, and types). And we’ve all likely experienced for ourselves the enormous clarity [sic] and understanding integral thought can bring to our lives, our inner-worlds, and the many nested realities we find ourselves in. But this video isn’t just about the edifice of “integral thought”. It’s also about the kind of thinking that can produce something like the Integral model in the first place. Watch as Ken offers an in-depth summary of the three integrative principles, nonexclusion, enfoldment, and enactment, which he uncovered while putting together his Integral Methodological Pluralism framework — a robust meta-paradigmatic scaffolding that seeks to honor, include, and integrate multiple paradigms and methodologies and practices across all domains of human knowing. Although these three principles are intended to help thought leaders [sic] make their particular fields of knowledge more expansive, comprehensive, and complete, they can also be taken more generally by the rest of us as three essential qualities of the integral mind, and can be used as an ongoing micro-practice to help us see more fully, communicate more skillfully, and discover the best and most effective solutions to whatever problems we happen to be facing. These three regulative principles—nonexclusion, enfoldment, enactment—are principles that were reverse engineered, if you will, from the fact that numerous different and seemingly “conflicting” paradigms are already being competently practiced all over the world; and thus the question is not, and never has been, which is right and which is wrong, but how can all of them already be arising in a Kosmos? What are the three principles of integral thinking then? [note how the system already now has attained the role as a fatherly authority and superior judge on all the kinds of truths which anyone might claim. It is really like a father talking to his children. All these truths are now functioning as marionettes in Wilber´s hands]. Principle 2: Enfoldment — “Some are more right than others” [could that maybe also be the critiques of Wilber´s system? Again the answer is a patronizing yes as long as they remember that they only are first tier thinkers, while Wilber devotees are second tier thinkers]. New Age Magazine: "Donald Trump - a Gift" (in this article I show an example of how the Wilber inspired concept of "The Evolution of Consciousness" is being used to justify Trump as being a positive and welcomed step on the evolutionary ladder (and how Trump critics even are being condemned as being ignorant). I also show an example of how the same ideology is being used to justify egoism. All in the name of spirituality. In the article I explain the central thought distortions at play in this kind of New Age evolutionism.